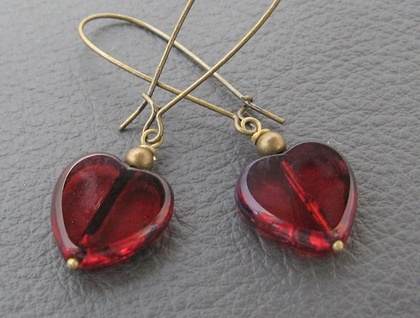 Ruby Heart earrings: deep red glass hearts with a stony edge, on long bronze-coloured ear-wires – last pair! Very romantic, with a touch of vintage. 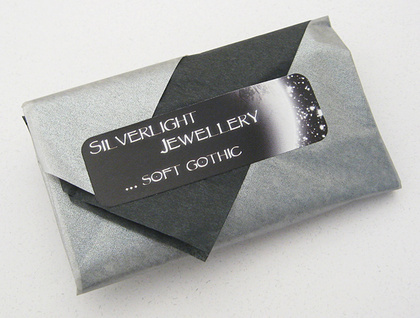 This is the last pair of these earrings currently available. 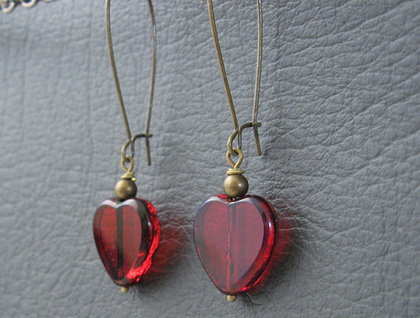 The 'Ruby Heart' earrings measure 55mm from top to bottom. 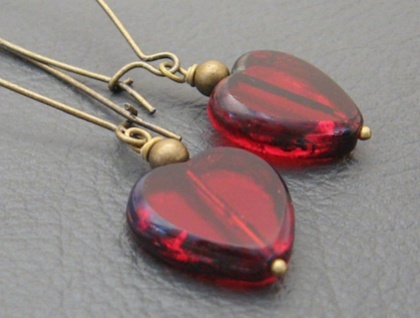 The heart dangles are 24mm long, including the wire-wrapped baile (hanging loop) at the top, and the glass hearts are 16mm across at their widest point. The ear-wires are without nickel.